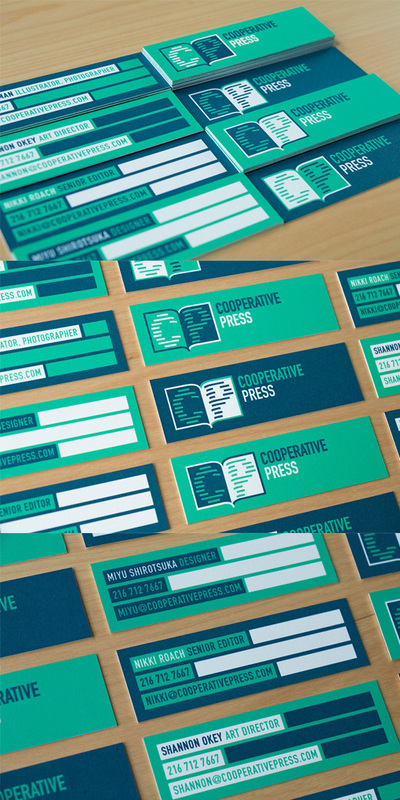 Here's a stylish set of business cards which were designed for a publisher. The logo and design of the cards revolved around the appearance of lines of text. The unusual teal, turquoise and white colour scheme works well and stands out as something different. Also, the cards are a slim-line thinner shape than is standard which makes them noticeable without resorting to gimmicky design.